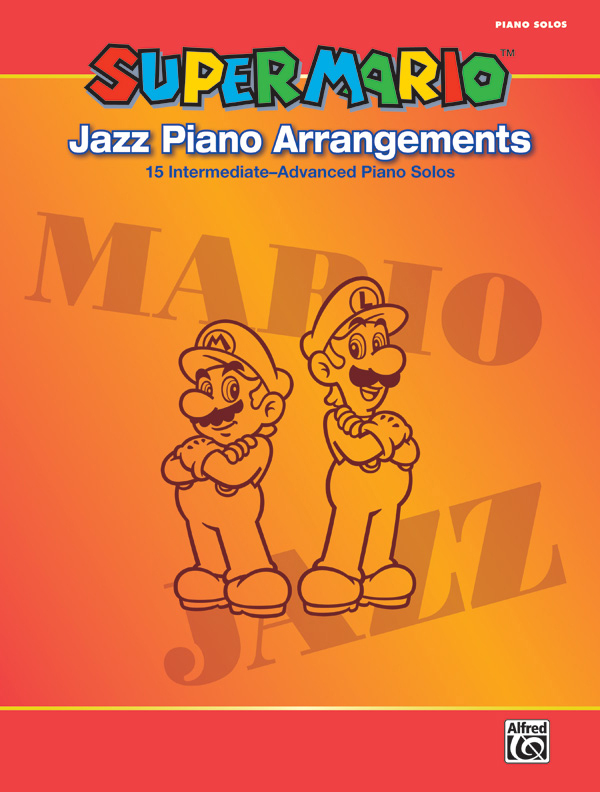 * The globally beloved musical themes of Nintendo's Super Mario™ video games sound great when they're played on the piano, and these new jazzy renditions make them more fun than ever! * Each arrangement in this collection was crafted under direct supervision by Nintendo and renowned video game composer Koji Kondo, so each theme retains its musical integrity---but with a unique and lighthearted twist that's guaranteed to entertain. * Pianists will enjoy the challenge of these 15 intermediate to early advanced arrangements, and audiences of all ages will be impressed and delighted to hear them. * Titles: Super Mario Bros.™ Ground Theme, Super Mario Bros.™ Underground Theme, Super Mario Bros.™ Underwater Theme, Super Mario Bros.™: The Lost Levels Ending, Super Mario Bros.™ 3 Ground Theme, Super Mario World™ Title, Super Mario World™ Athletic Theme, Super Mario Kart™ Mario Circuit, Super Mario World™ 2 Yoshi's Island Ground Theme, Super Mario 64™ Main Theme, New Super Mario Bros.™ Battle Theme 2, Mario Kart™ Wii™ Rainbow Road, New Super Mario Bros.™ Wii™ Title, New Super Mario Bros.™ Wii™ Ground Theme, Super Mario Galaxy™ 2 Yoster.